DESCRIPTION This 1760 sq. ft. two storey is located on a cul-de-sac and has an extra-large pie shaped lot that is nearly 67’ across the back. The large bonus room over the garage features a corner gas fireplace. There are three bedrooms up and 2 ½ bathrooms. The master bedroom has an ensuite with a separate glass shower, corner soaker tub and a walk-in closet. There is a skylight in the upper hallway. The kitchen is open to the dining room and living room with an island eating bar and walk-in pantry. Sliding doors from the dining room lead to a large deck. There is a main floor laundry area. The basement is undeveloped but has large windows and could be easily developed. Flooring consists of carpet, tile and hardwood. 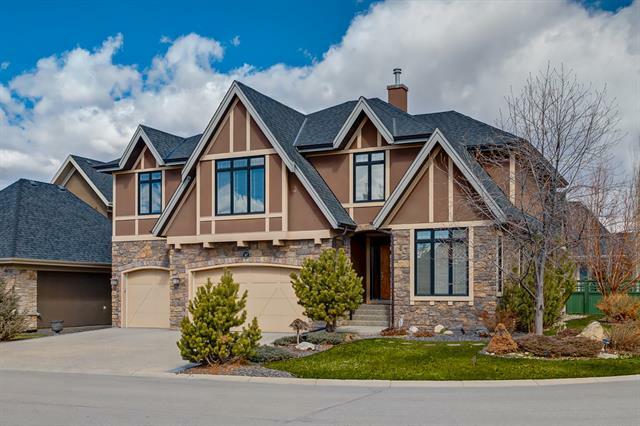 There is a double attached garage and the exterior is vinyl and stone. Home for sale at 234 West Ranch PL Sw Calgary, Alberts T3H 5C2. 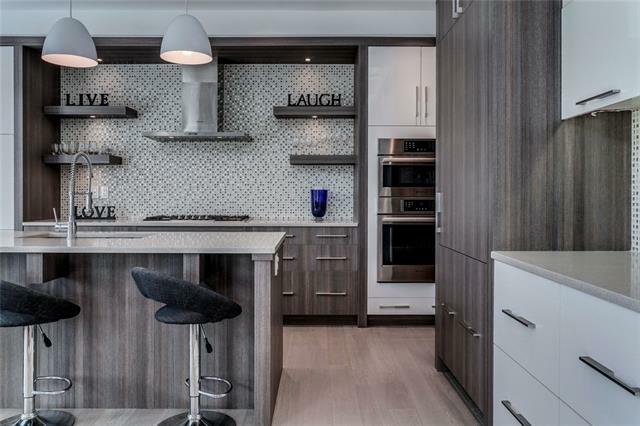 Description: The home at 234 West Ranch PL Sw Calgary, Alberta T3H 5C2 with the MLS® Number C4239057 is currently listed at $545,000.